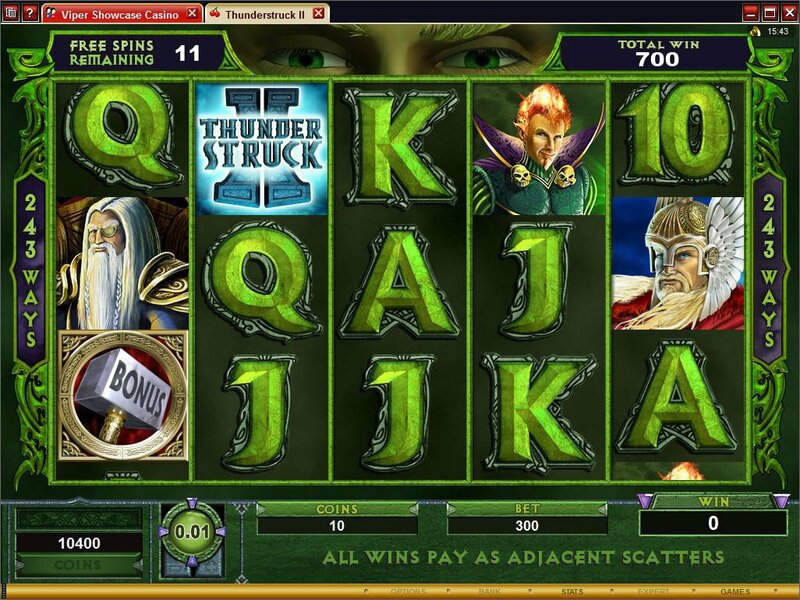 Overview: Thunderstruck, launched in 2003 by Microgaming, is widely acknowledged as one of the most successful and entertaining video slots ever in online gambling; a feature-rich game which has achieved iconic stature over the years with a wide player demographic. 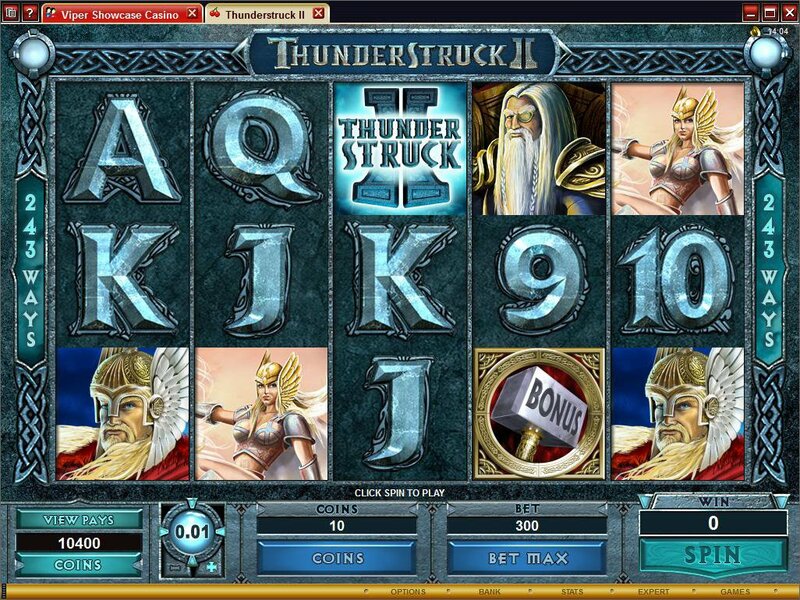 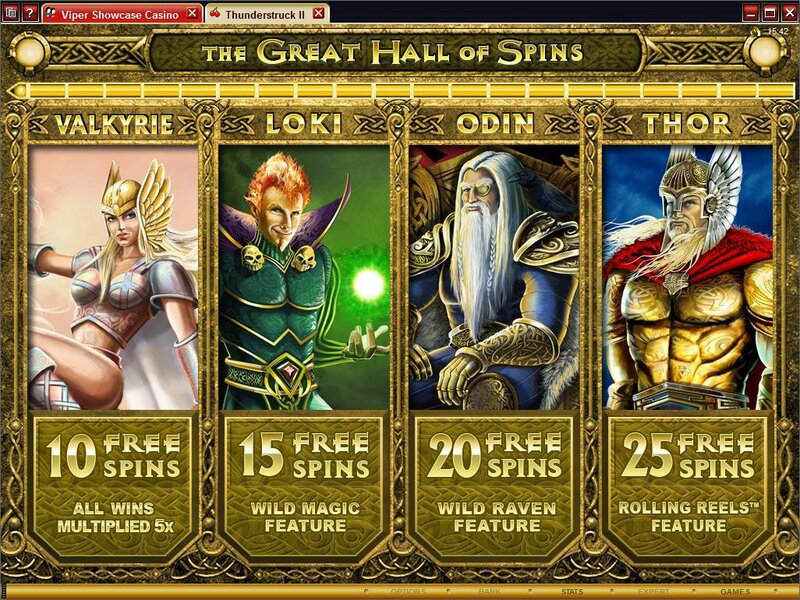 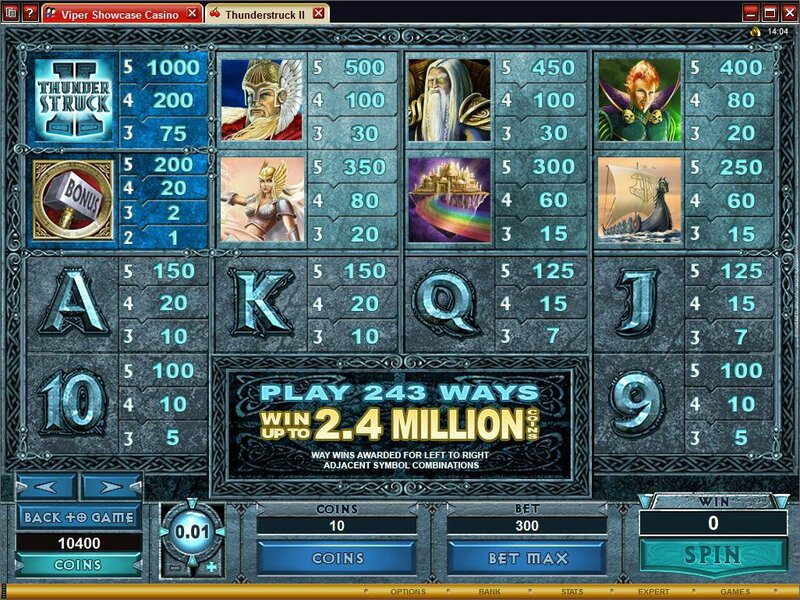 THUNDERSTRUCK II offers even more features and opportunities to win rewards as high as 121 500.00. 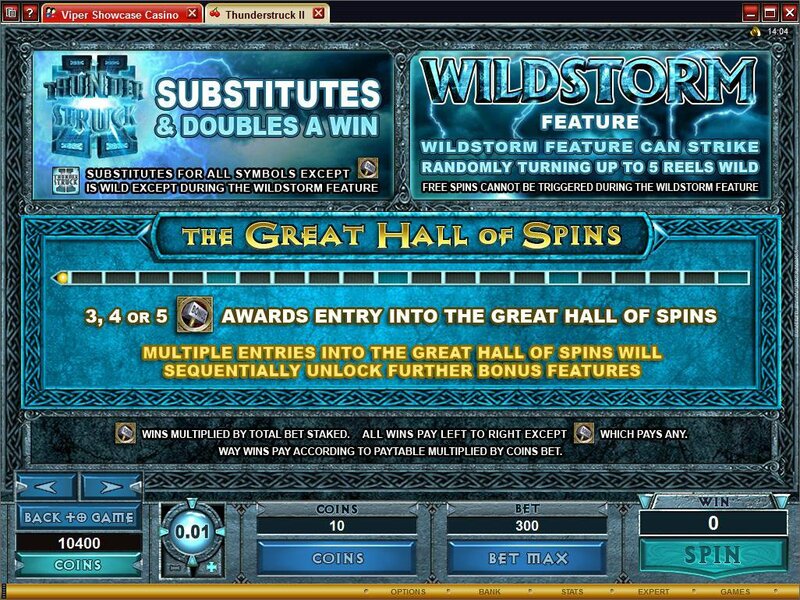 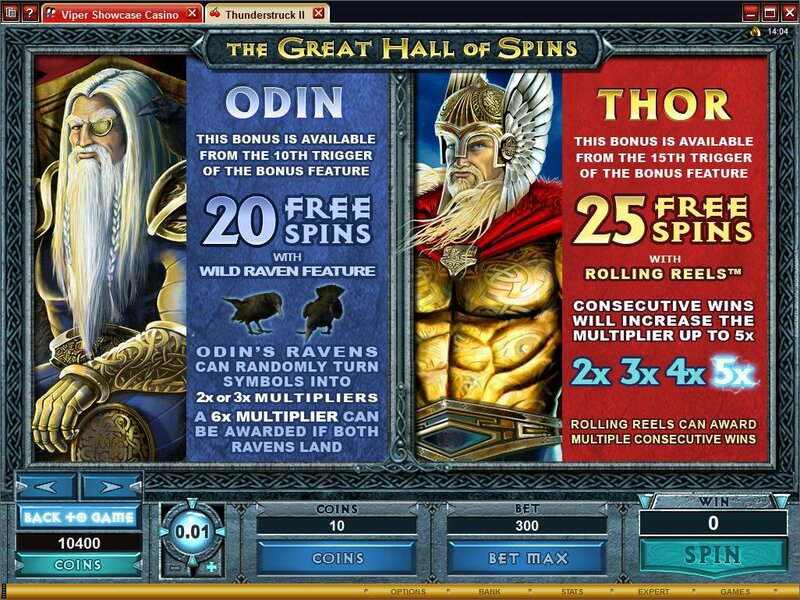 Based on the innovative 5 reel, 243 ways to win concept, and backed by awesome digital sound effects, this truly big video slot offers the player a range of benefits that includes Wilds and Expanding Wilds, four different Bonuses, Scatter action, 4 different Free Spins rewards, Multipliers ranging from 2x to 6x and absorbing free games. 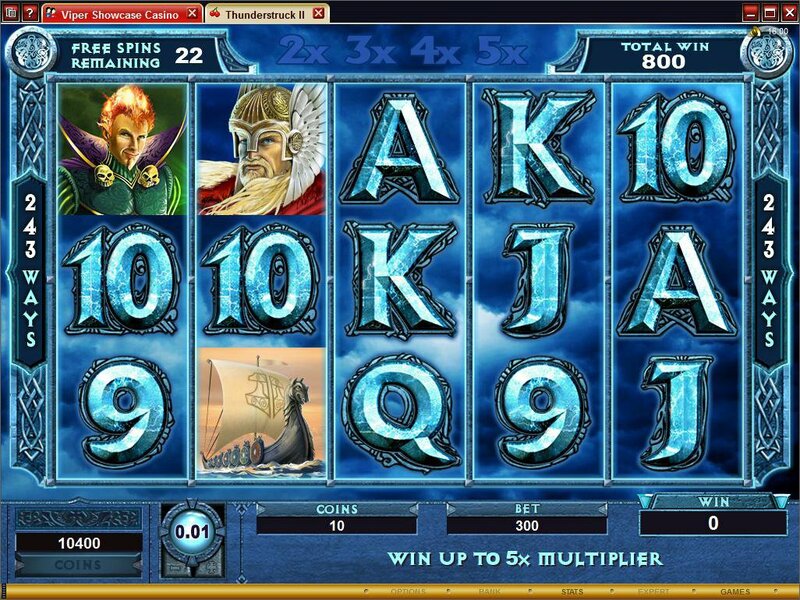 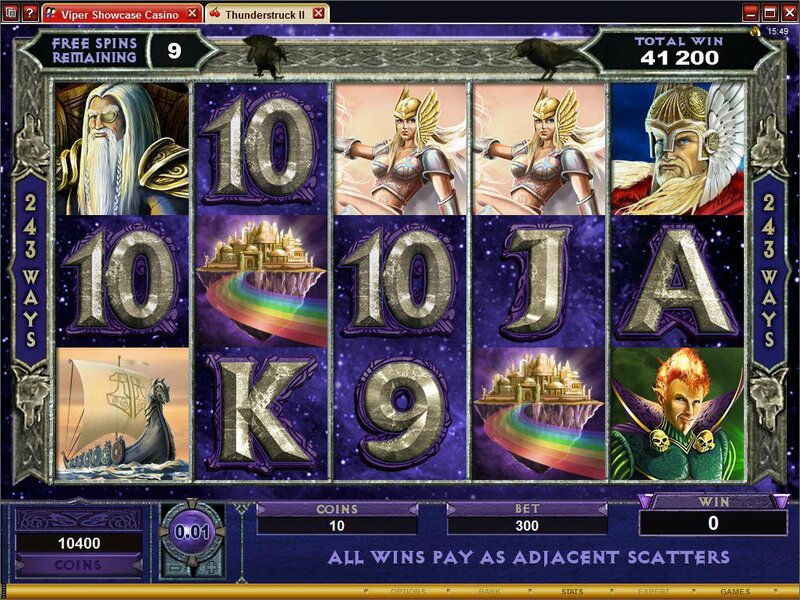 All the mystical Nordic gods are present in Thunderstruck II, depicted in high quality, full colour graphics along with theme-setting symbols like long ships, kings and Asgard, a rainbow city from the great Nordic sagas. 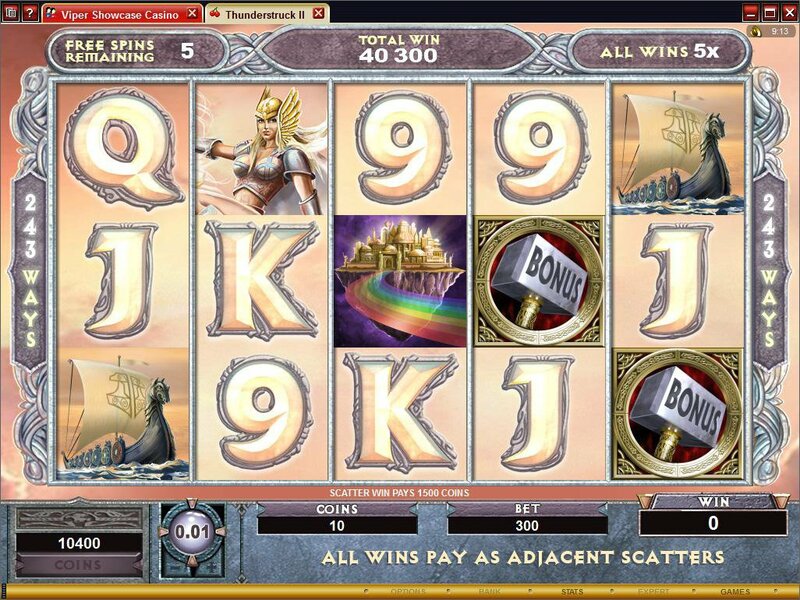 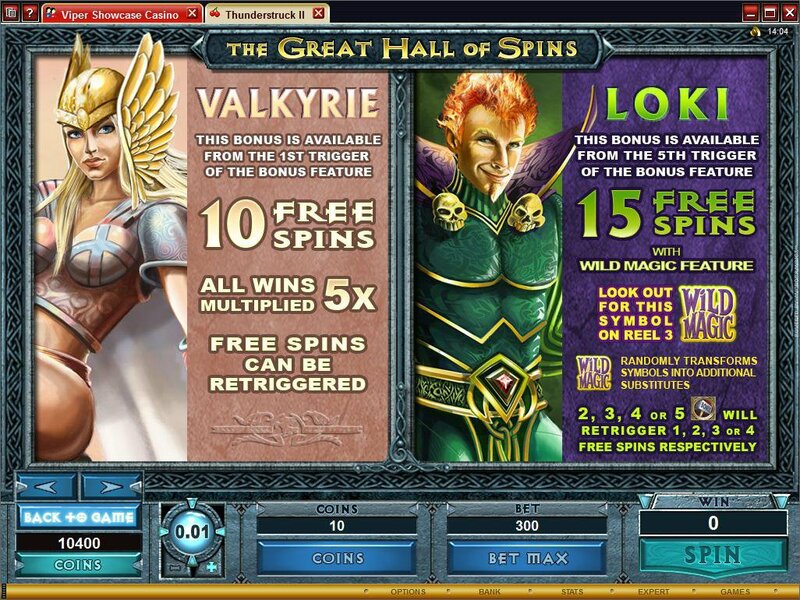 Similar Slots: If you like Thunderstruck II, you might like these other 5-reel slot machines: CashOccino, Get Rocked!, Hot Shot, Isis, Lucky News Network, Stash of the Titans.